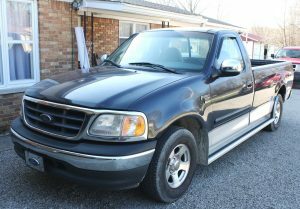 2000 FORD F150 XLT – TRACTOR – METAL LATHE – WELDER – POWER & HAND TOOLS – MOWERS | Lawson & Co.
FRIDAY – MAY 3RD – 10:00 A.M. Directions to property & auction site: On St. Rd. 67 go North of Martinsville or South of Mooresville approximately 8 miles to Centerton Rd. and go East 0.1 miles to Blue Bluff Rd. Go South on Blue Bluff Rd. 3.1 miles to Maple Turn Rd. and go East 2 miles to North Mapleturn Lane and turn right to auction site. Please follow signs. 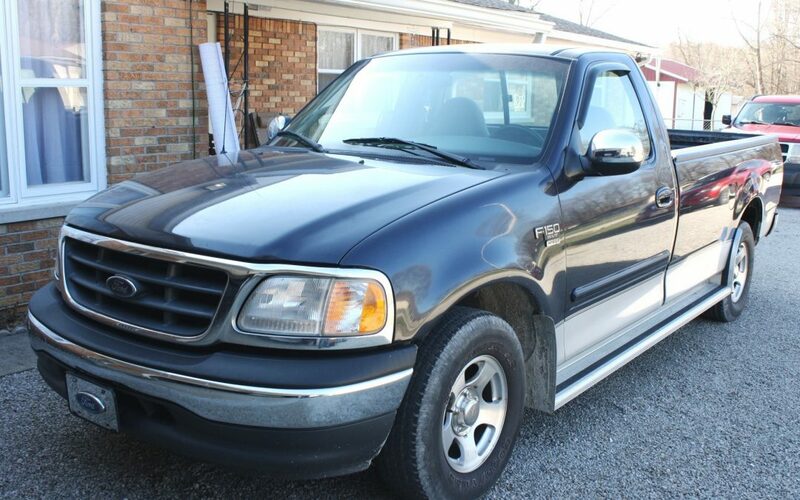 2000 Ford F150 XLT pick-up with Triton V8 engine, 78,639 miles, 2 wheel drive, AC, power windows & door locks, AM/FM/Cassette stereo, cruise control, standard cab w/2 bucket seats, 8’ bed, running boards; International Cub 154 Lo-Boy tractor. Benci Lathe Model TV-CO632 metal lathe w/48” throat; Precision Drilling Machine Model RF-20; Buffalo metal cutting band saw; Miller Model 330A/BP AC/DC Gas Tungsten – Arc Welding Power Source; welding table; 100’s of pounds of welding rod; welding helmets; Delta Model 23-980 10”, 1 hp bench grinder; B&D 6” bench grinder; 20 ton shop press; 12 ton hydraulic pipe bender; Jet ¾ ton chain fall; ½ ton Jib Crane; 1 ton chain fall; Wisconsin 10hp air cooled engine; International roll-around machinist tool box; Craftsman 10” table saw; Craftsman 10” radial arm saw; Ridgid pipe threader; Schumacher 2/40/100 amp battery charger; Stanley mobile work center; Porter Cable pneumatic stapler; Devilbiss pneumatic brad nailer; electric drills; angle grinder; Vise Grips; welding clamps; C-clamps; air hose; Craftsman and Black Hawk tools to include: sockets, ratchets, wrenches, impact sockets; nut drivers; Werner 6’ fiberglass step ladder; pipe wrenches; Lug-All come-a-longs; extension cords; Larin handy man jack; several tool boxes; grinding discs. Troy-Bilt 17.5 hp 42” lawn mower; Homelight 180R62 5500 watt generator; Yard Man 7 hp 24” snow blower; Troy-Bilt 6 hp walk-behind lawn trimmer; Fimco 25 gallon pull behind gas powered sprayer with Tecumseh gas engine; Craftsman 6 speed 18 hp lawn mower (not running); Agri-Fab Mow-N-Vac; Homelite bent shaft weed eaters; garden seeder; large lot of lawn & garden tools; large lot of sorted nuts, bolts, high pressure hose fittings, etc. ; several nuts & bolts organizers; several small electric motors; 4” aluminum pipe; ½” & ¾” stainless steel pipe; galvanized pipe and pipe fittings; 2” x 10” treated lumber; plywood; scrap lumber; 24” wide piece of granite; large lot of chain link & woven wire fencing; scrap iron; several window A/C units; sprint car rear tires; 21’x9’ aluminum by Premier truck box bed; 14’x8’ mini-barn; 6’ aluminum wheel chair ramp; motorized hospital bed; Jazzy convalescent scooter; Jet 3 convalescent scooter; very large lot of Christmas décor to include many homemade motorized outdoor ornaments; plus many other items too numerous to mention! AUCTIONEERS’ NOTE: All items sell ABSOLUTE, regardless of price. NO BUYER’S PREMIUM!